​Newcastle owner Mike Ashley has conceded he may have made a 'regrettable mark' that cost him the chance to sell the club to Middle Eastern investors, but has denied the allegations from former club director Tony Jimenez that it was part of a racially insensitive rant against the Dubai Royal Family, the Islamic faith and Kevin Keegan. The two are embroiled in a complex legal battle, which centres on a "brokerage contract" alleged to have been signed on 17 September 2008, the day after these remarks were supposed to have been made, at the Bahri Bar in Dubai. It is understood that several undercover journalists were present during the negotiations, and obtained recordings of the exchange, though the nefarious nature of their attainment meant they could never be published. As quoted by the ​Times, a spokesperson for Ashley told Bloomberg that he “flatly denies that he ever made any comment about the Dubai royal family, the Islamic faith or Kevin Keegan whether as wrongly alleged by Mr Jimenez based on hearsay evidence, or at all." The 54-year-old is seeking recompense for a £3m down payment he gave to Jimenez as part of a golf course venture that never went through, though Gimenez has claimed it was part of his salary from ​Newcastle. And on Wednesday the High Court ruled that Ashely could indeed pursue the 56-year-old for the money, with the trial set for next year. However, Jimenez's company, South Horizon Trading Ltd, cannot itself be put on trial in the UK courts. The Judge ran through both cases revolving around the inciting incident, before issuing his concluding statement, which proclaimed: “The defendants [Jimenez and South Horizon Trading Ltd] fairly submit that Mr Ashley was slow to engage with the allegations about the events on September 16 2008 and that his initial account was guarded. “He [Ashley] now says that he may have made a regrettable remark in the Bahri Bar, directed towards those with whom he had been in negotiation earlier that day, and that undercover journalists were present. 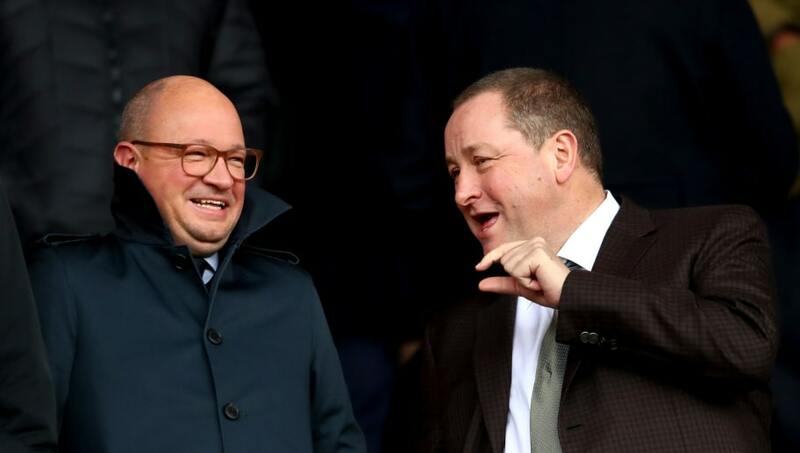 “Mr Jimenez says Mr Ashley made remarks that were much more widely directed and included insults to the Dubai Royal Family and the Islamic faith and its followers, and to Kevin Keegan. It is common ground that steps were taken by Mr Ashley to manage the way in which the event was reported. “There are, however, significant differences of recollection about the effect of the events on Mr Ashley and Mr Llambias. Mr Jimenez says Mr Ashley was shaking and saying he and his business empire faced ruin. Mr Jimenez says Mr Ashley came to see him at 4am on September 17 2008, in a panic worried about being locked up in Dubai and facing adverse press reporting in the UK. "This was the context for the September 17 Agreement being drafted by Mr Jimenez later that day and, he says, being signed by them both. Ultimately, though, the judge cited a “significant gap in the defendants’ case”, after he produced no financial records for his company, and waited nine years before attempting to revisit the incident. Ashley has repeatedly tried to sell Newcastle ever since he bought it in 2007 for £134m, but as of yet no takeover has been granted. However, he is apparently confident of receiving his desired buy-out fee of over £300m this month, with a consortium put together by Peter Kenyon the most interested of at least four prospective buyers.